Year after year, Nike continues to knock it out of the park with their LeBron shoe. The new wave as far as basketball shoes go is that lower cut shoes are becoming more and more popular, even when they are being made for someone with the size and ankle support that Bron needs. The variety of colorways, along with the nice pattern that lines most of the shoe, will likely see this fly off the shelves as usual. Lebron’s old running mate, Kyrie Irving, is another Nike athlete with a strong line of shoes. Personally, of the 5 that Nike has released, I don’t think they have had a bad one yet and this continues with the Kyrie 5. One thing I will say for Kyrie is that of all the players with signature shoes Nike seems to put out more different colorways for his shoes than anyone else gets. And these are almost always very strong, which helps make his shoes such a good aesthetic. Nike rounds out the top 3 with its’ latest version of the Paul George shoe, the 2.5. The PG 1 was very well received, and the 2 was not as much and one of the biggest reasons for that was Nike deciding to take away the strap from the middle of the shoe. So for the 2.5, they decided to bring it back and made another good looking shoe. Paul George also seems to get a lot of nice colorways from Nike, like the PlayStation one seen above. When creating a signature shoe, I think most brands go one of two ways- make it stand out a lot and be bold with design and color choices, like Jordan does with Russell Westbrook’s shoes (more on that later), or be simplistic and clean, like Adidas did with the newest James Harden shoe. adidas, in my opinion, did a great job of being simple, not adding too much to the shoe, and making it look clean. Donovan Mitchell just recently joined this list of NBA players with their own shoe, and Adidas did an outstanding job for his first model. With a team with as good of colors as the Jazz, this shoe has potential to have some great colorways, and the way they use his nickname “Spida” and incorporate it into the shoe with the lacing on the side that looks a bit like a net, is perfect. Kevin Durant, in my opinion, has historically had the best-looking shoes besides Lebron in the last 6-7 years. However, I think Nike took a step back with this one. Normally, KD’s shoes are very low and sleek looking but these are somewhat awkward and boxy to me, especially towards the back. I do like the Flyknit on most of the shoe, but otherwise, they aren’t my favorite. With Steph Curry and his history of ankle issues, his signature shoes have always been about providing the maximum ankle support for him rather than the look. Unfortunately, this usually shows and his shoes don’t usually look very good. This is one of their better efforts at making the Curry’s look good but it still falls to 8 on this list. The Way of Wade is a shoe that I have never taken much interest in, primarily because they are produced by Li-Ning, which is a Chinese company. Because of this, the shoes are a lot harder to get in the States than Nikes or Adidas shoes. Having said this, they have made some very solid shoes for Dwyane Wade but to me, this is a very average output from them. Earlier I mentioned that sneaker companies usually stick to either going simple or bold with signature shoes. Clearly, Jordan tried to go bold. I get it, especially with a player with a personality and play style as unique and expressive as Russ, and the shoe probably does fit his personal style, but I just don’t think this looks very good, there is too much going on with all the different pieces and colors. Maybe as more colors come out it will make more sense but for now, it’s a no from me. I actually like the way this shoe looks. The main reason that it is so far down on my list is that of the fact that it looks like they clearly and blatantly copied off of elements from the hottest signature shoes of other players. To me, this looks extremely like a mix of the Nike PG 1 and Adidas Harden Vol. 1. It’s fine to take inspiration from other shoes but this just doesn’t look original at all. As much as I love Matthew Dellavedova, this is not that good looking of a shoe. It doesn’t help that the Peak logo, at least to me, is extremely ugly. Delly does not seem like someone who would get caught up in looks for a shoe as long as it performs how he wants it to so more power to him. This just isn’t a good looking shoe. 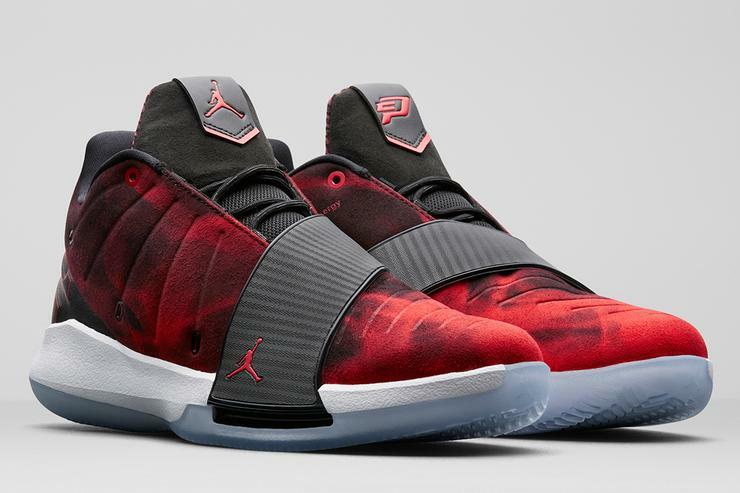 I know Chris Paul isn’t selling many shoes anyway, and fans don’t flock to see what his new shoe is going to look like, but for as creative of a brand as Jordan, you’d expect better than this. The strap seems too big and clunky, I don’t understand the velvet, and as I said earlier, in an era where most shoes are getting lower and lower, his are just getting higher. 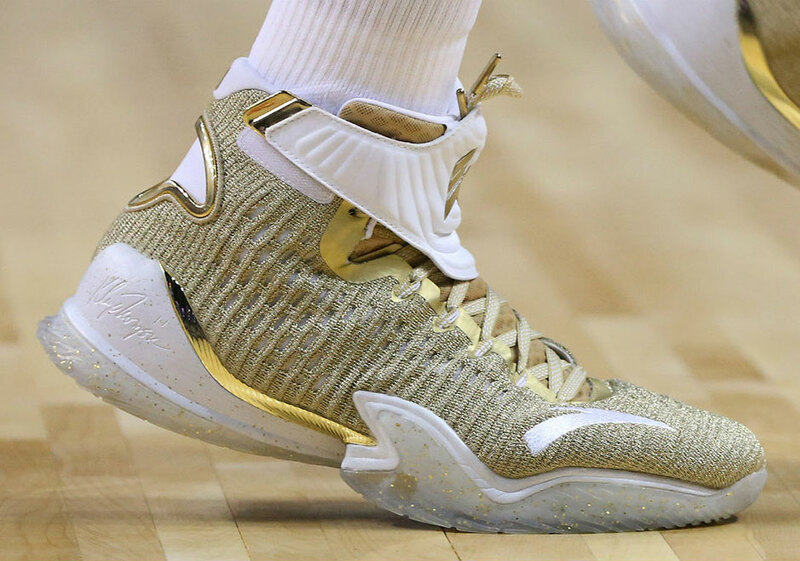 The NBA Finals are usually when sneaker companies are in their bag the most as far as putting their best out. There are always new colorways that companies want to show because there are so many people watching. And the colors, which usually involve the team’s color and gold, almost always look good no matter the shoe. So, it is very difficult to mess up like ANTA did with Klay Thompson’s KT3- it is an ugly shoe and even that colorway could not save it. I give Derrick Rose and Steph Curry a pass on good looking shoes. When a player has such a history of injuries the shoe has to be more about safety then looks. So when Adidas put this new shoe out for Derrick Rose, despite how ugly it is I won’t have too much negative to say about it if he is staying healthy. And he is- and playing better than he has in years and years, so more power to Rose and Adidas as well.